Halogen lamp: halogen headlamps are injected with iodine and other halogen substances. When the bulb of a vehicle is heated at high temperature, the tungsten wire is sublimated, and then the tungsten is solidified on tungsten wire after cooling. Therefore, the service life is longer than that of the ordinary incandescent lamp. the light principle of the LED lamp. 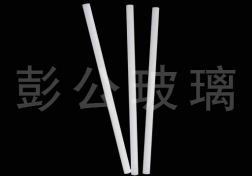 Halogen lamp: the structure is relatively simple, the manufacturing cost is relatively low, the light is more uniform, when the rain and snow days, penetration is relatively strong. However, the brightness is limited and the color of the light is yellow. Life expectancy is not very short, but LED is less advantageous. LED lamp: LED lamp saves electricity, life and lighting speed. However, the cost of LED lamps is generally high. Once there are problems, the repair cost will become a problem. In fact, the ordinary halogen lamp is enough to meet our daily lighting needs, and the LED lamp is relatively environmentally friendly except for the good lighting effect. If you are faced with a halogen and LED lamp, which one do you use?